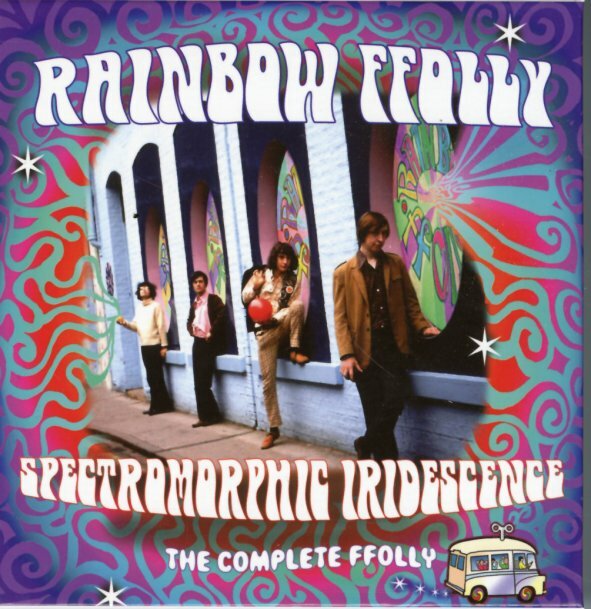 The complete works of Ranbow Ffolly – presented here in an overstuffed 3CD set! First off, forgive the double letters in the group's name – but that's the way the band spelled it themselves, and if you sounded this trippy, you'd probably do the same! Rainbow Ffolly have a really unique sound, even for their time – because they're not really Sunshine Pop, but they're also not totally head-expanding psych either. Instead, there's kind of a personal, almost artsy approach – but one that doesn't ever get too bogged down in itself, even though it's clearly concerned with sound experiments as much as it is with jangly guitar pop – which really comes through in the way that the guitars get all weird and strangely sonic around the edges. The set features both stereo and mono versions of their classic album Sallies Fforth – with titles that include "She's Alright", "Sun Sing", "Sun & Sand", "Labour Exchange", "Sighing Game", "Come On Go", "Montgolfier", and "I'm So Happy". Then, the set features lots more bonus tracks from the same period – including 'Go Girl", "Drive My Car (single mix)", "The Continuing Story Of Bungalow Bill", and "Sun Sing" – plus this very cool series of "hospital radio jingles", which are interspersed with the group performing songs that include "Sunshine Of Your Love", "Lucy In The Sky With Diamonds, "I Can't Let Maggie Go", "Gimme Little Sign", "Bells of Rhymney", "Something Else", "I Can Hear The Grass Grow", and "I'm So Happy". Then, CD3 features the album Ffollow Up – recorded in 2016 by remaining members of the group – with 18 more tracks in all! © 1996-2019, Dusty Groove, Inc.